11 Feb: Passage Jouffroy was the first to be constructed entirely of iron and metal, but finished and decorated with wood details. 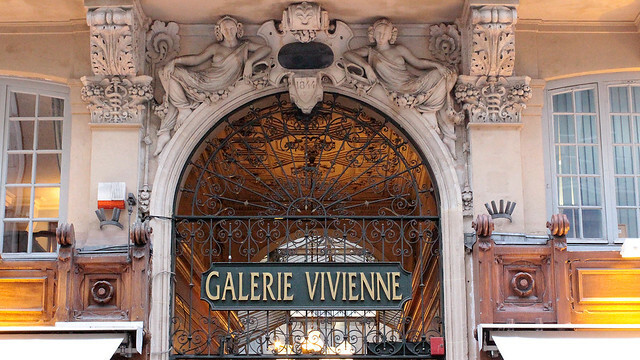 This is another among the well-known galerie for it is located right adjacent to the Musée Grévin (Paris’ equivalent of Madame Tussauds) and it is also where Hotel Chopin – which opened the year the passage was constructed – can be found, which in its lobby stands a piano previously owned by Chopin himself. Quirky overall set-up and well-worth a stroll. 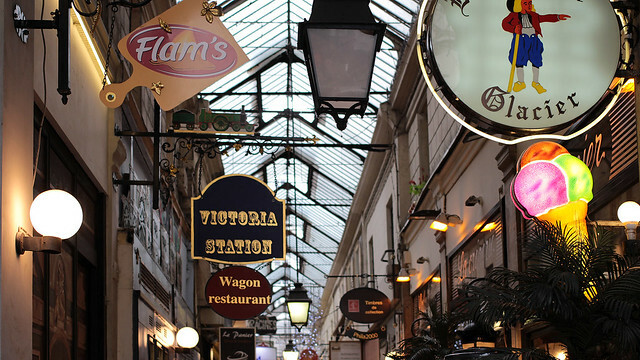 12 Feb: Across the street from Passage Jouffroy, one walks straight into Passage des Panoramas, the second oldest covered passage of Paris, built in 1799. Today, it houses a good number of stamps and postcards shops, along with a variety of eateries. At first glance, it almost feels like a small mall fills with curiosity shops, but the more southern parts appear a little lost. I guess the presence of the famed engraver Stern is sorely missed. 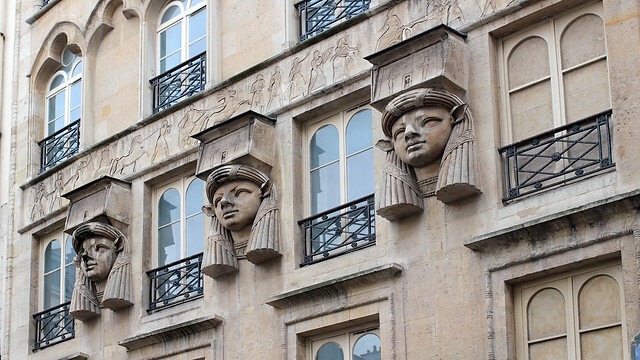 After over five years after they moved to rue du faubourg Saint-Honoré, their former premises remained unoccupied and frozen in time. 14 Feb: Up to now, I’ve been poking around the galeries between Palais Royal and Grands Boulevards, so a little exploration around Porte St Denis seems apt. I walked into Passage du Prado to be greeted with stares of every (foreign-origin) man loitering in the passage. The passage itself looks seriously shabby, far from the quaintness of those mentioned above, and the few shops in business consist of predominantly African beauty salons. 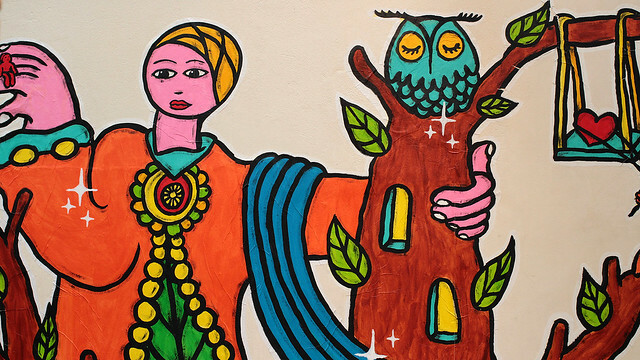 I did spot this rather lovely and larger-than-life street art on one of its walls though. On exiting, I then noticed Chinese women standing around and the penny dropped. Good thing I had camera with me while walking in the passage, looking like a tourist, otherwise the men could have misunderstood and thought I was, errrm, soliciting business? 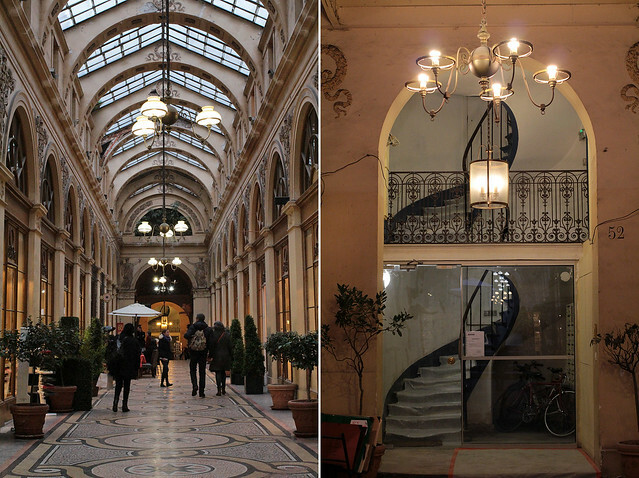 15 Feb: I went back to the familiar grounds near Palais Royal, this time to Galerie Colbert that is adjacent to the Galerie Vivienne. 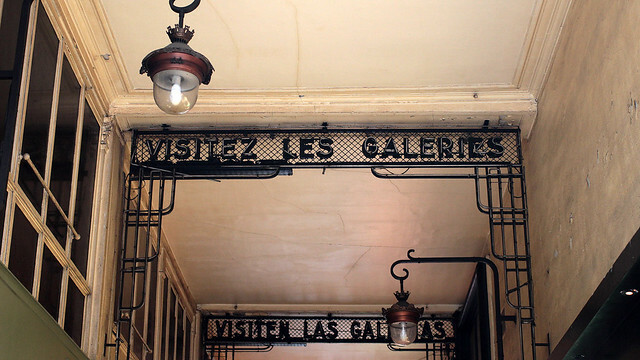 This is the only galerie where bags will be checked at the door before entering into a pristine space that is primarily used by art-related institutes and a number of Parisian universities! The sole anomaly? 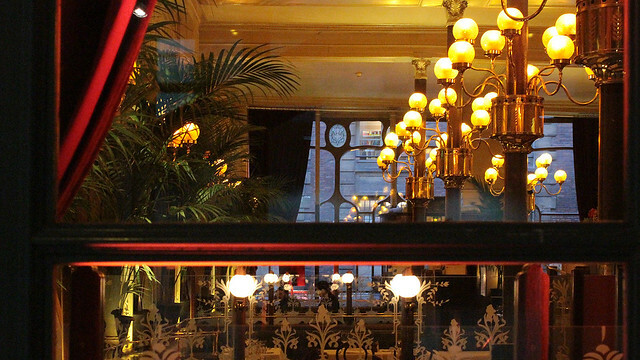 Le Grand Colbert, aka the Parisian bistrot in Something’s Gotta Give, and its impressive Belle Epoque interior – although entrance is on the street outside and there is no access from within the galerie. Lovely. 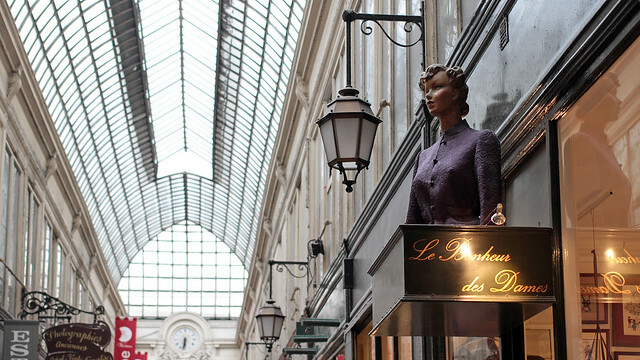 I love those galeries, and really enjoyed discovering some while living in Paris. There are so much little gems everywhere, and even after living here for a few years, I’m constantly discovering new nooks! How long did you live here?